My birthday was a couple of months ago and one of the presents I received from one of my sisters was a vintage book she found at an op shop that had my name in the title. It made a lovely gift. I have since read it and enjoyed the innocence and adventure from a past era. 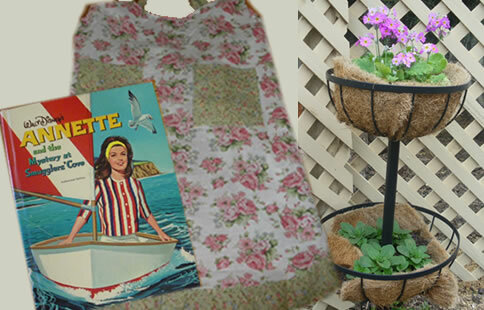 Thought you might like the cute apron I received and I bought the planter with a voucher I received. The primulas are looking very cheerful! 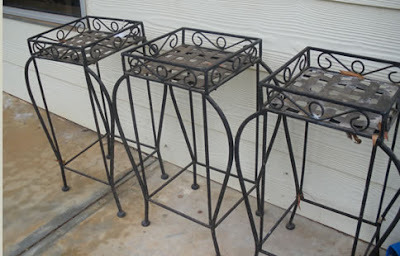 However a few months back I bought some little wrought iron stands for $15. 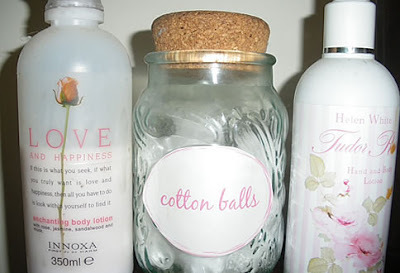 These could be used for pots or as little coffee tables. I plan to paint them white, I'm just waiting for the warmer weather to arrive. Just as we have nice containers to hold our everyday coffee, tea, sugar etc.. I also have a special little jar that I found at a garage sale to hold my cotton balls which is something I use daily to take my eye makeup off. I made the label to give it some more character. They are lovely planters, can't wait to see how they'll look after a paint job. What a great book you were given, I just love those vintage books. Pressie's are the best. Yippee!! those planters are great! love a good find. i have the same tea cannister full of chai which I use everyday. 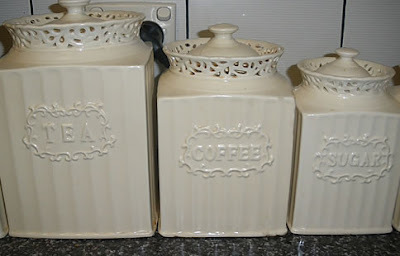 Hi Annette.....love your new blog....and those little wrought iron tables are goiing to look great with a coat of paint! Love the Annette book - was it Annette Funicello (sp! )?